IN CIRCUMSTANCES WHERE YOU PURCHASE THE SOFTWARE WITHOUT ACCEPTING THE TERMS OF THIS AGREEMENT AND WISH TO RETURN THE SOFTWARE, PLEASE CONTACT Speedy™ TO DETERMINE WHETHER YOU ARE ELIGIBLE FOR A REFUND. 1.1 Subject to the terms and conditions of this Agreement, Speedy HLDGS Limited grants you a limited, non-exclusive, non-transferable license, without the right to sublicense, to use or evaluate the Software in accordance with this Agreement and any other written agreement with Speedy HLDGS Limited. You have purchased a license to use the Software. Speedy HLDGS Limited does not transfer title of the Software to you. This Agreement is a legally binding agreement between Speedy HLDGS Limited and the licensee(s) of the Software. If you do not agree to the terms and conditions of this Agreement, you are required to immediately cease installing or using the Software and remove the Software and any documentation from your computer. 1.2 Speedy™ has agreed to license use of the Software to you pursuant to this Agreement and the terms and conditions set out below. 1.4 Except where clause 2.2 applies, if you wish to install and execute the Software on more than one computer at the same time, you may do so upon receipt of written consent from Speedy™ and upon payment of an additional license fee as stipulated by Speedy™. 1.5 Your license to use the Software as granted herein only permits you to use the version of the Software which you have installed or purchased from Speedy™. It does not permit you to use any other version of the Software. 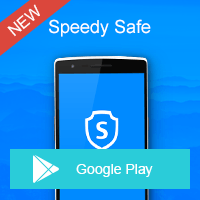 The use of any other version of the Software will be governed by a separate agreement between you and Speedy™. However, if you enter into a separate agreement with Speedy™ for Speedy™ to supply any updates of the Software to you, then, unless specified by Speedy™ to the contrary at the time you receive, install or execute those updates (which may, without limitation, include Speedy™ requiring you to agree to a new end user license agreement before making use of those updates), then this Agreement will also govern the use of those updates. 1.6 You acknowledge that Speedy™ may offer to maintain and update the Software but it is not obliged to do so unless you have purchased a subscription that entitles you to updates for a specified period, or you purchase a separate maintenance contract. If no subscription period is specified at the time you purchase a subscription, the subscription period will be one (1) year from the date you either first purchased or first installed the Software (whichever occurred first). Should you wish to receive information about maintenance and updates please view Speedy™ website on a regular basis at www.ospeedy.com. 1.7 If you have purchased a subscription that entitles you to updates, or you purchase a separate maintenance contract, you acknowledge that after the specified subscription period or maintenance period has expired, you have no further right to receive any updates without the purchase of a new subscription or maintenance contract. You also acknowledge that Speedy™ may limit the functionality of the Software upon the expiry of any subscription period or maintenance period unless you purchase a new subscription or maintenance contract. 4.1 The particular operating systems upon which the Software has been designed to execute will be published by Speedy™ from time to time ("Compatible OS"). You agree that you will not execute or install the Software on any operating system other than a Compatible OS. You acknowledge and agree that the Software may not execute correctly and may interfere with other software if executed on an operating system which is not a Compatible OS. 4.3 If the liability of Speedy™ for breach of any Prescribed Terms is capable of exclusion, they are hereby excluded to the fullest extent permitted by law. (c) subject to paragraph (b) above, the maximum liability of Speedy™ to you in respect of any breach of this Agreement or otherwise in respect of your use of the Software will be the amount you have paid Speedy™ for the Software and if you have not paid Speedy™ any amount for the Software, will be the amount of USD $1 (one dollar). 4.5 You acknowledge that you have exercised your independent judgment in acquiring the Software and have not relied upon any representations made by Speedy™ which have not been stated expressly in this Agreement or upon any descriptions or illustrations or specifications contained in any document including catalogues or publicity material produced by Speedy™. 5.3 You shall indemnify Speedy™ fully against all liabilities, costs and expenses which Speedy™ may incur to a third party as a result of your breach of this Clause 5. 6.1 We will collect information about any browser plug-ins installed on your computer the first time that the Software is run if you have the Community Protection option in the Software set to "on". Data collected may also include information about information about the Speedy Software Products and other security software on your computer. This information will not include any personal data and is only collected to aid in decreasing false positives and to report back to you about the performance of the security products used within the ThreatFire Community. Such reporting will be on an aggregated basis and will not include any personal data. 6.2 Sample malware files collected by Speedy™ may be shared with other security providers for the sole purpose of creating signatures to protect against further spread of the specific threats. 7.2 Upon termination, you or a representative nominated by you shall destroy any remaining copies of the Software and Products or otherwise return or dispose of such material in the manner directed by Speedy™. 7.3 Termination pursuant to this clause shall not affect any rights or remedies which Speedy™ may otherwise have under this Agreement or by law. 8.1 Speedy™, its employees and it's agents are subject to U.S. export control laws that prohibit or restrict (i) transactions with certain parties, and (ii) the type and level of technologies and services that may be exported. You agree to comply fully with all laws and regulations of the United States and other countries ("Export Laws") to assure that neither the Software, nor any direct products thereof are (1) exported, directly or indirectly, in violation of Export Laws, or (2) are used for any purpose prohibited by Export Laws, including, without limitation, nuclear, chemical, or biological weapons proliferation. Transfer of this Agreement shall not be dealt with in any way by you (whether by assignment, sub-licensing or otherwise) without Speedy™' written consent and this Agreement shall be binding on your successors and assigns. Speedy HLDGS Limited may amend any of the terms of this Agreement by (a) providing written notice to you of such amendments; and/or (b) displaying such amendments or an amended copy of this Agreement to you during your installation and/or execution of the Software. You acknowledge and agree that your ongoing use of the Software after you are made aware of any amended terms to this Agreement by any of the afrorementioned methods will constitute your acceptance of such amended terms. If you do not agree to any amendments made by Speedy HLDGS Limited to the terms of this Agreement, then you must uninstall the Software from your computer and cease any further use of the Software. In such circumstances, you may also contact Speedy HLDGS Limited to determine if you are eligible for a refund or partial refund of any purchase price paid to Speedy HLDGS Limited in respect of the Software (subject to any conditions which Speedy HLDGS Limited may place in respect of paying such a refund).